I have read and LOVED Christine's first two books "The Light in the Wound" and "His Wounded Light", if you have not read those books yet, I would suggest you add them to your to be read list and pick them up. 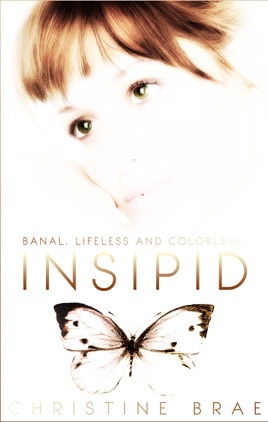 Insipid is a stand-alone story and totally separate story. "Trust in Him. Trust in signs. Trust in your fate. Live your life in honesty. Let your heart choose whom to love; you;ll never go wrong that way. Live life to the fullest and know that those who leave this world ahead of you are watching over you always." Christine Brae has done it again with another beautifully written book. 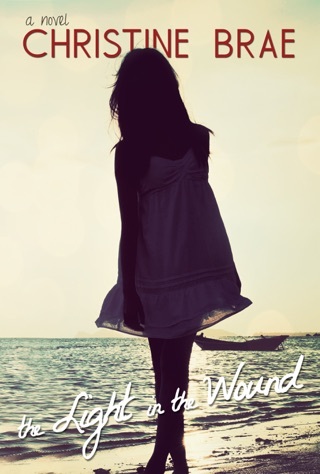 Jade's journey through this book is one dealing with loss after loss and is a trying one. This book is broken into 3 separate parts. The 1st part we are not intended to understand exactly why Jade's personality is the way that it is and why she makes the choices that she does. But as the story progresses and by the time you get into the 2nd part you get your answers which will then make you understand Jade on a different level and this is where a lot of the emotional part of the story lies. Jade has suffered loss and this story is her journey of coming to terms with her losses, her letting go of her past (which is always the hard part) and then trying to move forward with her future. There were certainly parts in this book which may push you not to understand or like Jade. She makes some drastic decisions, which are impulsive based on her state of mind and experiences she has endured. There are certainly love triangles in this story, and as you read, you will not know where things are going to end up (so you kind of feel like Jade in that respect). By the end of the story, you will come full circle and appreciate the journey you just lived through with Jade. Christine once again has written a beautiful story. As I was reading, it was interesting to see all those quotes and text highlighted throughout the kindle copy. You will definitely take home something with you with this story. Christine has given us another story of love, loss, heartbreak, forgiveness, and hope with a spiritual and poetic flare to it. I recommend that you pick up this book and give it a try.